Nan Fry, a much-loved Washington area poet and teacher, died suddenly on Friday evening, September 23rd. 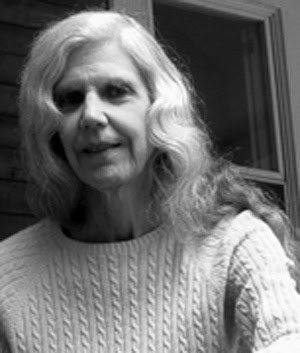 A longtime member of the academic faculty at the Corcoran School of Art in Washington, DC, Nan also taught poetry workshops for many years at The Writer’s Center in Bethesda, Maryland. In addition to short stories appearing in various venues, Nan, who grew up in Connecticut and earned a PhD in Medieval Studies at Yale, published a collection of poetry, Relearning the Dark with Washington Writers Publishing House in 1981 and, in 1988 with Sibyl-Child Press, a delightful chapbook of riddle poems, Say What I Am Called: Selected Riddles from the Exeter Book, translated from Anglo-Saxon. Her poem “Riddle” (see below) appeared as a transit system poster in Baltimore, Washington, and Ft. Collins as part of the Poetry Society of America’s “Poetry in Motion” program. A memorial for her will be planned for later in the year. you find that everything opens. it carries the sun in its beak. water from rock, hurl it upward. through the leaf, the watery lace. it is not a bell but a doorway. someone crooning to her young. Thanks for writing this essay to pay tribute to Nan. I want to make note that I read one of her poems at my reading at Kensington Row Book Shop on September 28. Nancy Allinson spoke about having her as a teacher and read a poem from that workshop with Nan.